Welcome to the Complete Spoofer's Guide to talking about Super Bowl LIII. 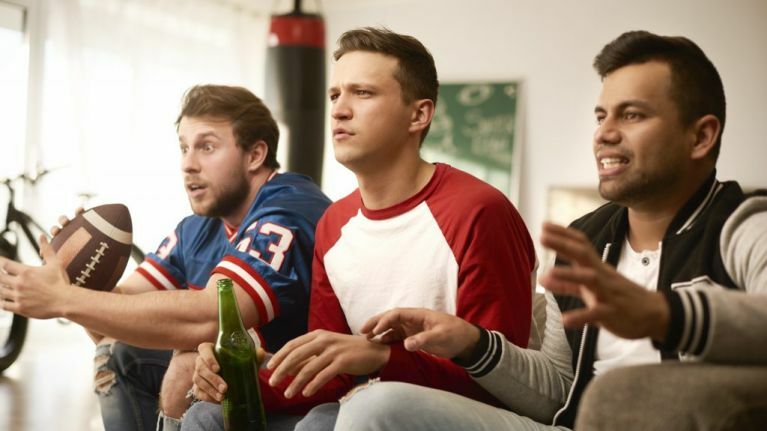 If you're reading this there's a good chance you've been invited to watch the big game somewhere and you want to have some general idea of what you're talking about. 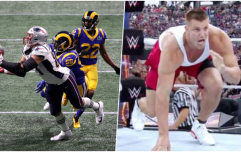 On Sunday, 3 February, the LA Rams will be taking on the New England Patriots. A little bit of knowledge can be a very dangerous thing but hopefully, there's enough in here that can get you through the game without being exposed as an NFL rookie. He is, by the way. Most of talking about Super Bowl LIII will boil down to enthusiasm. If you make it look like you're getting into the game, it'll be a lot easier to convince others that you know what you're on about. 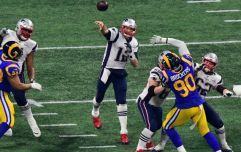 Here are the do and don'ts of Super Bowl LIII. He's generally the most important player on the field and will spend a considerable amount of time on the television so it's worth knowing a little bit about them. Lining out for the Patriots, Tom Brady is the most successful quarterback of all time. He's won five Super Bowls, having appeared in nine throughout his career. At 41-years-old he is the oldest QB to lead the league in passing yards. Basically, he's a pretty damn good player. Meanwhile, the LA Rams' Jared Goff had a career year and was fourth in the NFL for completion percentage with a 64.9% completion rate and has the second most throws of over 20+ yards. That's the QB's covered. He's only 24, so maybe asking someone with more knowledge if they think he has what it takes to be up there with Tom Brady would be a good shout. You won't get caught out for being full of crap if you let other people do the talking. Gauge the knowledge level of those around you. Don't get bogged down in a conversation about offensive line patterns, 3-4 v 4-3 defences or zone coverages. When you're talking about Super Bowl LIII, try to keep it basic. Some handy words and phrases to throw around; separation, awareness, vision, locks eyes with the target, workhorse, and ballhawk. When a team is on 3rd down and has some way to go, it's perfectly fine to say some variation of 'they need to bring it here', 'get after the quarterback' etc. Should a team has a lead heading towards the final two minutes 'they'll look to run this one out' is perfectly fine. If the defence has any timeouts - 'They'll make them burn their timeouts here'. Look, we could just give you a list of things to say and hope for the best. As easy as that sounds, you'll get found out very quickly. Keep it simple, and avoid copying what other people are talking about unless you know what it is. When a kicker misses a kick - 'It's been a tough year for the kickers. Did you see Cody Parkey in the Bears game?'. If you don't know who Cody Parkey is, he hit the post twice on a game-winning kick against the Eagles. Do not get in over your head. If you hear someone say 'they're loading the box' don't steal it unless you know what the box is, much less loading it. Don't be the person that says 'they need to go for it here'. They're going for it on almost every play. It will get repetitive very quickly. Don't be the person that says 'do you remember when the Seahawks didn't run the ball'. Feel free to bring up any previous Super Bowl examples you can think of if they're fitting but try to avoid the famous Malcolm Butler pick. That is, unless there's an endzone pick when a team is only a couple of yards from goal. Avoid saying 'they should have challenged that' if a there's a risky play. Chances are the referees will review it if it's a turnover or scoring play, and if not, this isn't a speeding fine, NFL coaches can lose timeouts with failed challenges. They'll be very careful when throwing that red flag.